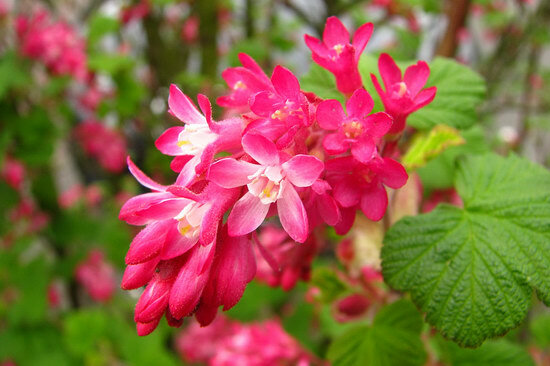 I posted the unopened flowers of this bush in the supermarket car park back on April 24th, and thanks to Google+ I now know that this is called a Flowering Currant a.k.a. Blutjohannisbeere. With greetings to +Mandy Allen, who, to my amazement, was able to immediately identify this flower!